Ships today if you order in the next 2 hours 59 minutes. The human body is an amazing machine, expertly handling every substance that enters it. But no matter how smart the body is, it can become overwhelmed and overworked by free radicals. Help your body fight free-radical damage naturally with Green Tea from Gaia Herbs. 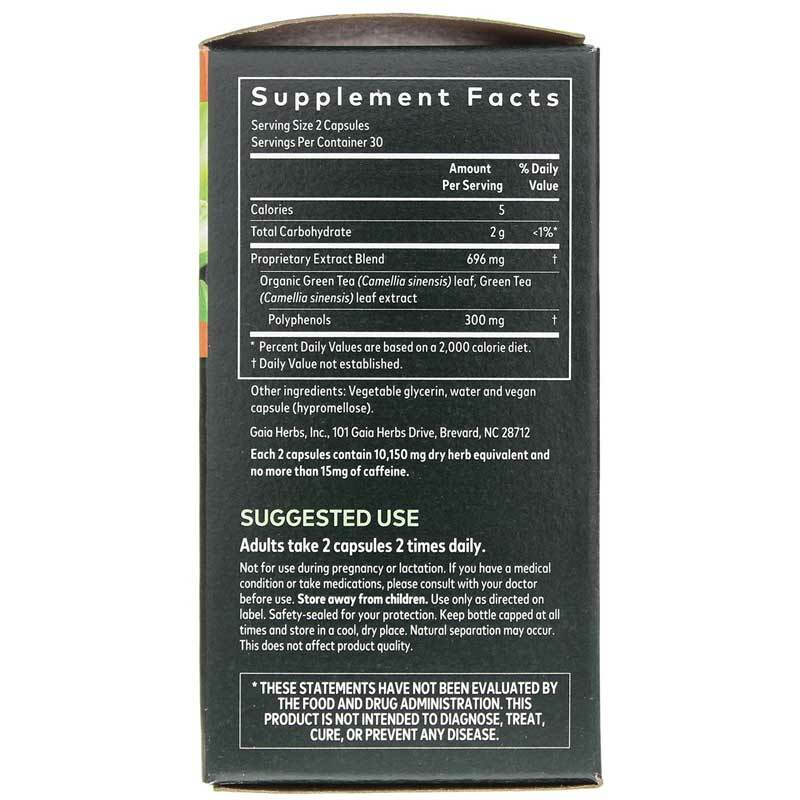 Green Tea is an herbal supplement made from certified organic green tea leaves to provide high-quality, whole-body antioxidant support for optimal health. The natural aging and breakdown of cells, along with increased exposure to environmental toxins from a chemical-obsessed society, can take a toll on overall health. These free radicals can cause oxidation and damage to the body, speeding up the aging process and taking a toll on cells and tissues as the body's natural antioxidant systems struggle to keep up with the increasing influx of free radicals. Rich in antioxidants, green tea contains polyphenols known as catechins, which may help give your body an antioxidant boost and help protect the body from free-radical damage, especially in the heart. 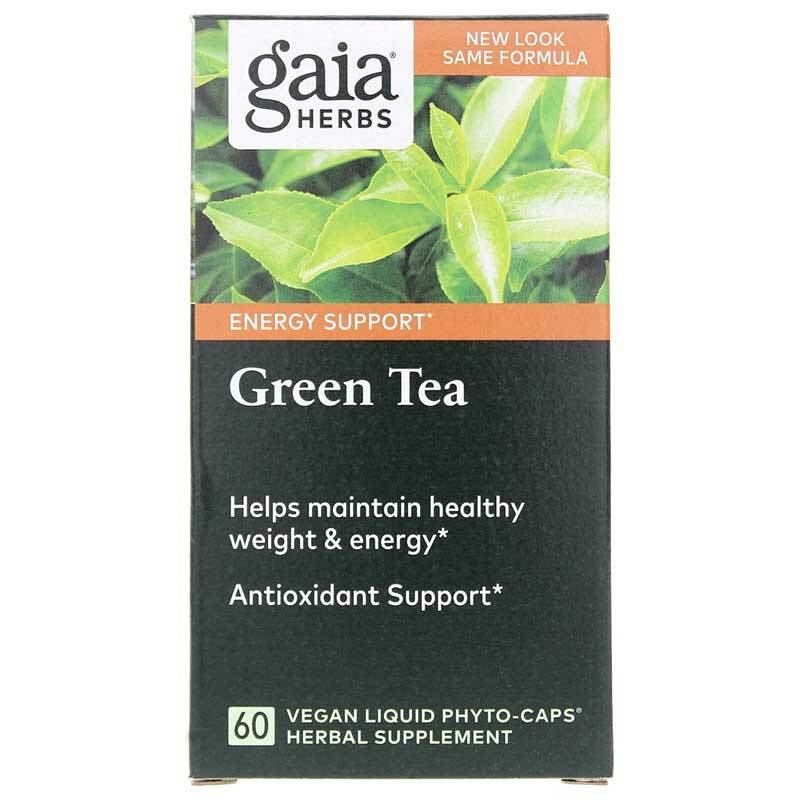 For the highest quality green tea supplement possible, Gaia Herbs' Green Tea uses organic green tea leaves that are extracted and concentrated to provide the full spectrum of health-supporting, antioxidant phytochemicals. 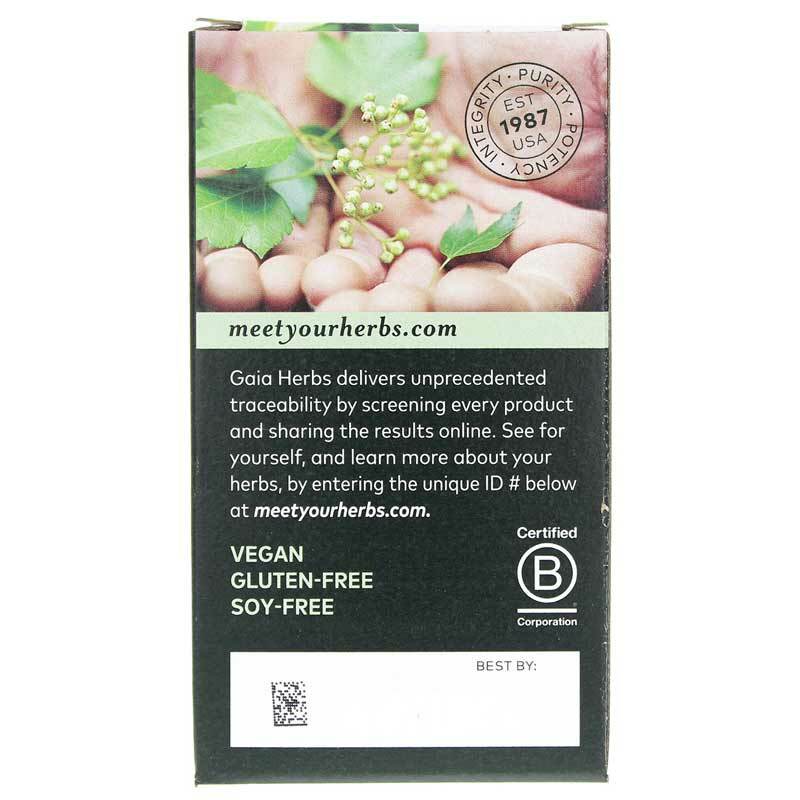 In addition, Gaia Herbs' Green Tea is laboratory tested for purity, ensuring it's free of heavy metal toxicity. Give your whole body a powerful, natural antioxidant boost. Order Green Tea today. Adults: Take 2 capsules 2 times daily after meals. Not to be used during pregnancy or lactation. If you have a medical condition or take medications please consult with your doctor before using this product. Keep away from children. Use only as directed on label.